Mr. Md. 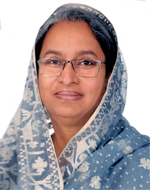 Monjur Hossain, Deputy Secretary General, Bangladesh National Commission for UNESCO (BNCU) is an Additional Secretary to the Government of People’s Republic of Bangladesh. He joined in BNCU on 30 June, 2013. Prior to joining here, he served as Deputy Secretary in the Ministry of Health and Family Welfare (MOHFW) and Ministry of Public Administration (MOPA) respectively. Mr. Monjur was born in Dhaka in 1967. He came from a well off Muslim family. His father late Md. Shamsul Alam was a businessman and mother Farida Begum is a home-maker. He married to Mrs. Afsari Khanam, who is also a civil servant and belongs to the Bangladesh Civil Service (Administration) cadre. They are blessed with a son. An amiable person with positive outlook and remarkable organising skills, Mr. Monjur has been associated with a number of socio-culture and voluntary organizations since his student life. He was the active member of Cubs, Scouts, Red Cross/Crescent and Rover Scouts during his secondary and higher secondary level of education. He was elected as Treasurer of the Cox’sbazar Officers’ Club, while he was posted there as a civil servant. 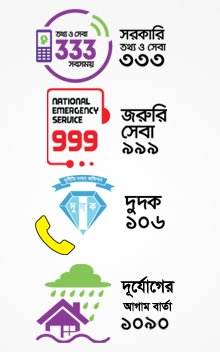 He is actively allied with Bangladesh Society for Training and Development (BSTD) as an associate member.